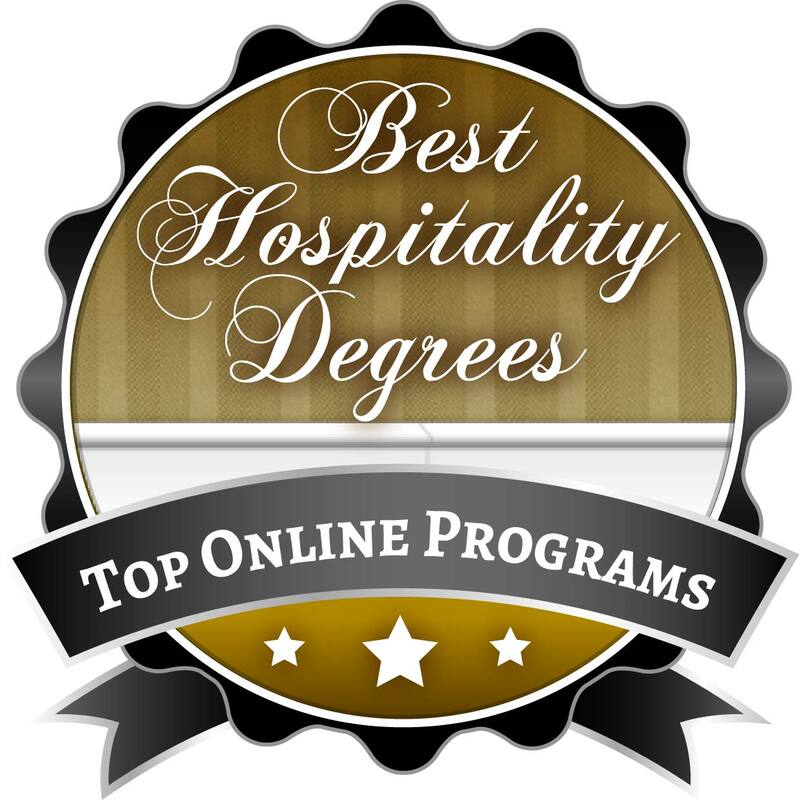 Welcome to our ranking of the best online bachelor’s degrees in hospitality management. Ask any career counselor or industry insider, and most would tell you that your best bet in 2018 is to major in a STEM field – particularly technology or engineering. But while experts are busy analyzing job market trends, they’re forgetting a few essential points. Everyone has to eat. Tourism is a huge source of income in the United States, and the country represents the second largest tourist economy in the world. And as long as there are executives, engineers, and computer scientists at work, we’ll need hotels to host their business trips and vacations. All of these factors point to the inevitable truth that hospitality is one of the world’s most important industries, if not one of its oldest. So if you’re looking to get a job in a hotel or restaurant, as a travel agent or event planner, chances are you’ll never run out of employment opportunities. Career counselors might also tell you that in 2018, online degrees have become a legitimate, effective option for many students. We agree, and this top online hotel management degrees ranking provides evidence of that point. *The accrediting body for hotel management programs is the Accreditation Commission for Programs in Hospitality Administration™ (ACPHA). **Tuition information was obtained from College Navigator, a division of the National Center for Education Statistics. We considered in-state undergraduate tuition for the purpose of this list. Robert Morris University boasts a 92% placement rate for graduates of the online bachelor’s in hospitality management degree. The online bachelor’s in hospitality and tourism management program at Robert Morris University boasts top rankings with major publications and accreditation. This private university also reports a 92% placement rate for graduates of the hospitality and tourism management degree. Courses are delivered online and in a flexible format designed for working and busy students. Courses explore topics in beverage service, event planning, hospitality management, and tourism supervision and management. Successful degree candidates earn a bachelor’s in business administration with a concentration in hospitality and tourism. This program is ideal for those with an interest in the business aspects of hospitality and tourism management. U.S. News and World Report ranks the school as the 176th best national university and 331st top business program (including the BSBA in Hospitality and Tourism Management). Concordia’s online bachelor’s in hospitality management is ranked and accredited. Concordia University’s online bachelor’s in hospitality management program combines a series of customer service management and marketing skills with the practical tools students need to succeed within the hospitality and tourism industry. The program is for working adults with the desire to earn a bachelor’s in hospitality management that leads to career advancement. All classes are delivered online and include analytics and technology, applied accounting and finance, hospitality business management, innovation and systems thinking, marketing in the global environment, principles of ethical management, and new media literacy and social media. The degree consists of a total of 120 credits with 32 to 44 credits in the major. 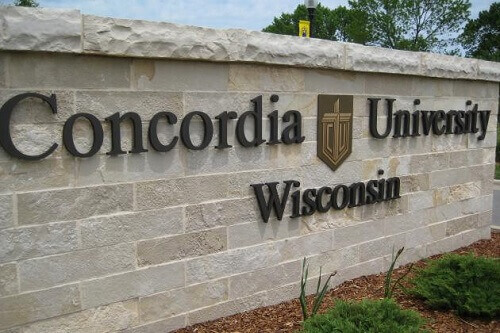 Concordia is an accredited, private institution that is also ranked with major publications like U.S. News and World Report as a top regional university in the Midwest. Also, the online bachelor’s programs are ranked #81 out of more than 1,200 surveyed programs. 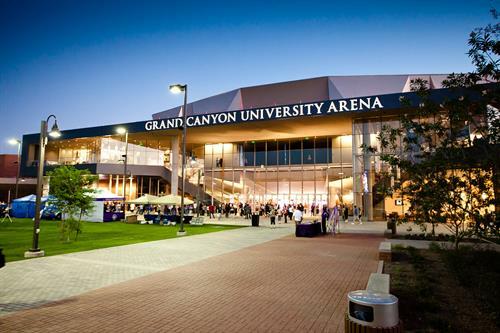 Grand Canyon University offers an online bachelor’s in hospitality management for career-seeking students. Grand Canyon University’s online bachelor’s in hospitality management program is designed to prepare career-seeking students for entry into the hospitality industry. Upon graduation from the program, students will be qualified to seek employment as hotel or lodging managers, food services managers, or resort managers. All classes may be completed online and are taught by university instructors. These courses include business statistics, ethical and legal issues in business, financial accounting, food and beverage service management and operations, hotel and lodging management and operations, introduction to hospitality, revenue generation for hospitality, and strategic management. A total of 120 credits are required to satisfy the degree stipulations with 68 credits within the major. Up to 90 credits may be transferred. Grand Canyon is recognized by major publications like U.S. News and World Report as a top national university. The school and its programs are accredited. UMass offers an accredited online bachelor’s in hospitality management. Isenberg School of Management at University of Massachusetts offers an online hospitality and tourism management bachelor’s degree designed for career-seeking students and working adults. The program is entirely online and offers courses taught by the same professors who instruct on campus. These courses include club management, destination management, event management, food and beverage management, lodging operations, revenue management, and service experience management. 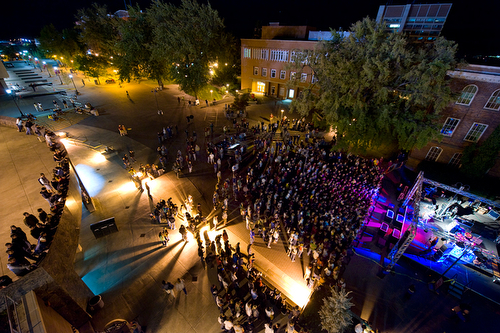 Several elective options allow students to tailor their degree toward areas of interest like gaming and social policy or special event management. 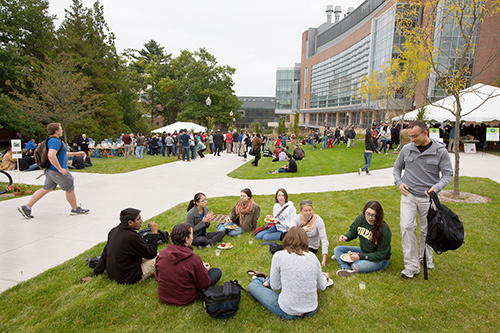 The institution is ranked by U.S. News and World Report as a top national university and best value school. 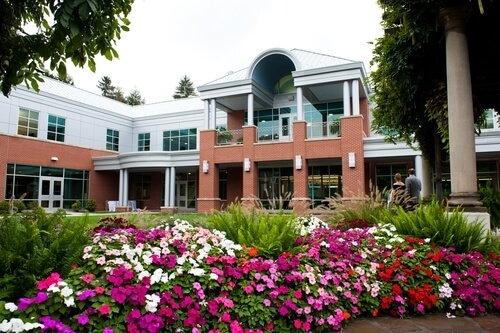 Also, the online bachelor’s programs are ranked #24 out of more than 1,200 surveyed programs. 100% online – Johnson & Wales’ online bachelor’s in hospitality management. Johnson & Wales University’s online bachelor’s in hospitality management is a 100% online program designed for busy hospitality professionals who want to advance their career trajectory. The four-year program offers 11-week courses, career-focused curriculum, and courses that may be tailored toward personal interests or career goals. These courses may include dynamics of tourism and sustainability, hospitality sales and meeting management, hospitality strategy design and execution, leading service excellence in the hospitality industry, menu planning and cost control, and new media literacy in entertainment and event management. Students also have the option of earning a minor in a relevant discipline to help leverage their degree. Johnson & Wales is accredited and ranked with major publications like U.S. News and World Report as a best regional university. Also, the online bachelor’s programs are ranked #119 out of more than 1,200 U.S. News-surveyed programs. 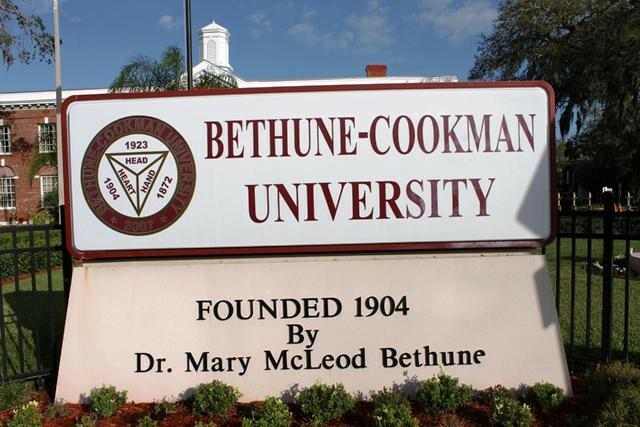 Bethune-Cookman’s online bachelor’s in hospitality management is ACPHA accredited. The Bob Billingslea School of Hospitality Management at Bethune-Cookman University offers an online bachelor’s in hospitality management that is affordable and accredited by the Accreditation Commission for Programs in Hospitality Administration (ACPHA). The degree may be completed entirely online by taking classes designed to fit busy and working student schedules. The online curriculum is a replica of the face-to-face program courses offered. This means that students earn the same degree as their on-campus colleagues. Classes cover topics in administration within hotels, management in restaurants, and supervision within the tourism industry. 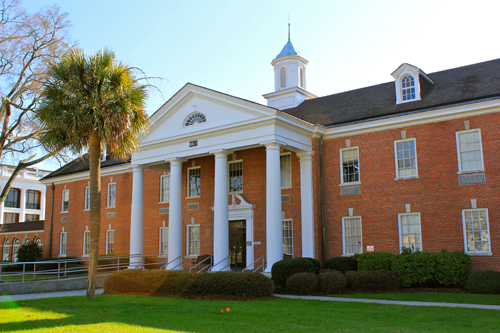 Major publications like U.S. News and World Report rank Bethune-Cookman as a leading national liberal arts college and prominent historically black university. 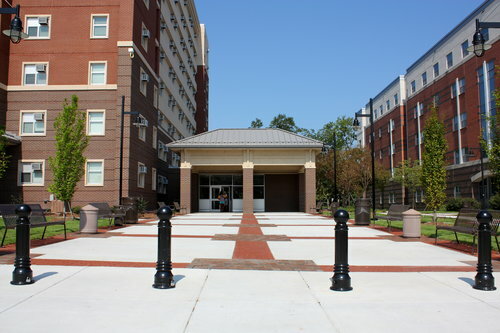 The online hospitality management degree program at University of South Carolina is ranked and accredited. University of South Carolina’s Palmetto College offers an online bachelor’s in hospitality management degree program designed for career-seeking students. Courses are delivered online and in a convenient format. These courses include destination marketing, hospitality accounting, hotel management, introduction to the hospitality industry, management by menu, principles of food service sanitation, and restaurant food production management. Curriculum is career-focused and provides students with the skills needed to conduct applied research to advance knowledge within the hospitality management field. Major publications like U.S. News and World Report rank the school as a top national university and best value institution. WSU offers an online bachelor’s in hospitality business management that is affordable and accredited. Washington State University’s online bachelor’s in hospitality business management (HMB) degree program provides the fundamental knowledge and skills needed to advance in the wide-ranging field of hospitality. Through online courses and experienced faculty, students gain the foundation needed to transition into hospitality management roles. The HBM courses run seven weeks in length, while non-business courses run 16 weeks in length. Some of these courses include hospitality systems, introduction to industry experience, and operational analysis. 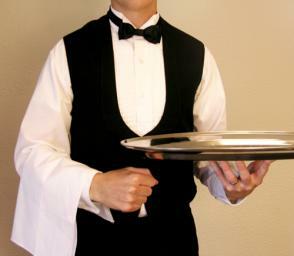 Students also gain real-world experience by completing 1,000 required and paid work hours in the hospitality industry. Major publications like U.S. News and World Report rank WSU as the 140th best national university and 87th best value school. Also, the online bachelor’s programs are ranked #15 out of more than 1,200 surveyed programs. 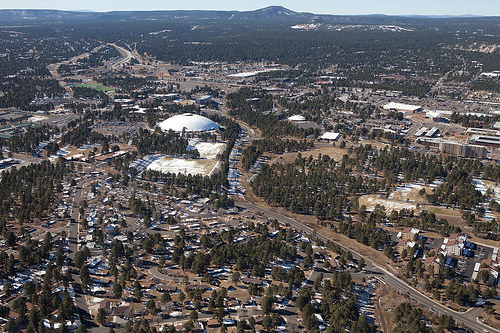 Northern Arizona’s online bachelor’s in hospitality management emphasizes hotel and restaurant management. Northern Arizona University’s online bachelor’s in hotel and restaurant management has earned accreditation by the Accreditation Commission for Programs in Hospitality Administration (ACPHA). This accreditation is an honor held by less than 20% of all hospitality programs. Courses are delivered online and designed with the working student in mind. Some of the required courses include corporate finance for hospitality managers, facilities and sustainability management for hotels, foundations in kitchen operations, hospitality managerial accounting, introduction to the hospitality industry, and restaurant operations and management. The school is ranked by major publications like U.S. News and World Report as a top national university. Also, the online bachelor’s programs rank #226 out of more than 1,200 programs surveyed by U.S. News. ASU’s online bachelor’s in tourism is a business degree designed for hospitality management interested students. The bachelor’s in business at Arizona State University offers a concentration in tourism that may appeal to those interested in hospitality management. This completely online degree is offered by the AACSB-accredited W.P. Carey School of Business, one of the leading business schools in the country. The degree consists of 120 credit hours with classes taught by the same professors who instruct on campus. Some of the courses include cultural diversity in the U.S., entrepreneurial recreation and tourism, introduction to resort and hotel management, special events management, sustainable tourism, and tourism transportation systems. 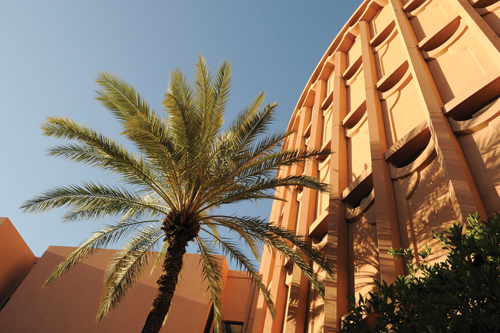 ASU is ranked by major publications like U.S. News and World Report as the 115th best national university and 110th best value school. Also, the online bachelor’s programs rank #4 out of more than 1,200 surveyed programs. Ranked and accredited – the online bachelor’s in tourism and hospitality from Norfolk State University. 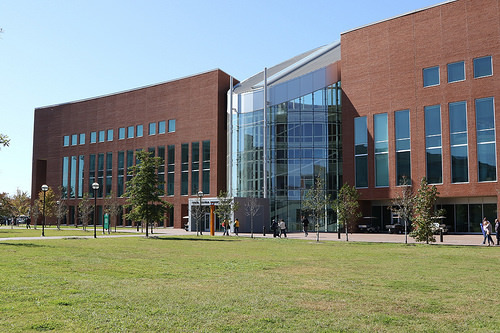 Norfolk State University’s School of Business offers an online bachelor’s in tourism and hospitality that is designed for working adults. Classes are delivered entirely online and are taught by the same professors who instruct on campus. These courses include a series of business core classes along with a wide range of hospitality and management classes. Some of the courses covered in the program include cases in hospitality management, hospitality sales and marketing, organizational behavior and theory, principles of marketing, and professional careers in the hospitality industry. The degree requires a total of 120 credit hours of undergraduate work. Norfolk is regionally ranked by U.S. News and World Report as a top regional university in the South. 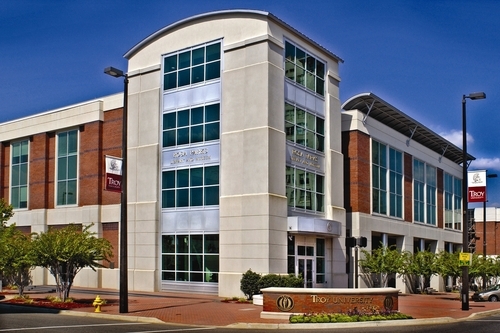 Troy University’s online bachelor’s in hospitality management is highly affordable. Troy University’s online bachelor’s in hospitality management degree program is designed for working students with the desire to move into management roles within the hospitality industry. The program offers three undergraduate concentrations that allow students to focus their studies on areas of interest. These concentrations include hospitality management, sport management, or tourism management. The hospitality management specialty prepares students for careers in hotels, resorts, casinos, and other entertainment-related businesses. Troy is accredited and ranked with major publications like U.S. News and World Report. In fact, U.S. News ranks the school as the 89th best regional university in the South and 34th top public institution. Also, the online bachelor’s programs are ranked #226 out of more than 1,200 surveyed programs. Granite State University’s online bachelor’s in hospitality management is designed for working students. 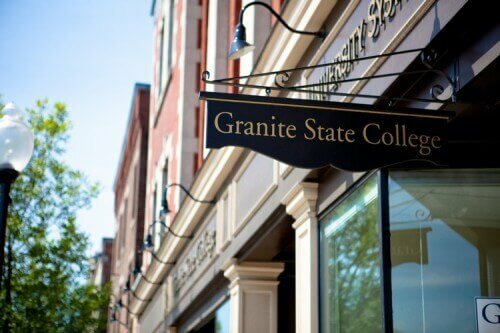 Granite State College offers an accredited online bachelor’s in service and hospitality management degree program designed to help further careers in hospitality management. Curriculum emphasizes strong communication skills, public relations, and project management. All courses are delivered online and cover topics like event, meeting, and conference management; food service systems and control; hotel and restaurant management; and quality management. Admission to the program requires students hold a high school diploma or equivalency. To add to the convenience of the program, applications for admission are accepted on a rolling basis. Granite State’s online bachelor’s programs are ranked by U.S. News and World Report as the 99th best in the country. ECU’s online bachelor’s in hospitality management is top ranked. East Carolina University offers an online bachelor’s in hospitality management with three concentrations in highly specialized areas of hospitality. Students may tailor their hospitality degree toward specific industry-related areas like convention and special events, food and beverage, or lodging. There is also a minor in hospitality management and an MBA with hospitality management certificate to add to the different pathways toward working in the hospitality industry. All classes are delivered online and taught by the same university professors who instruct on campus. The university and its bachelor’s programs are accredited and ranked with major publications like U.S. News and World Report. 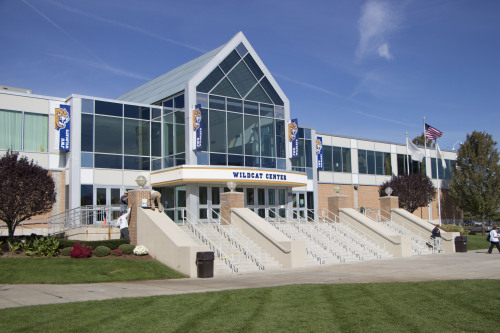 In fact, the online bachelor’s programs are ranked #156 out of more than 1,200 surveyed programs. 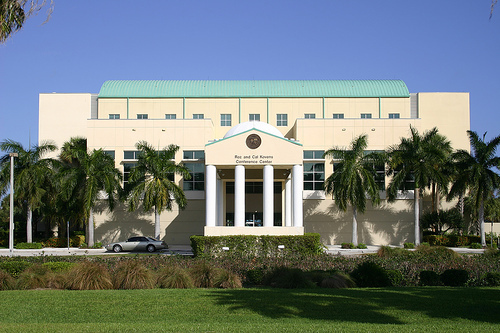 The top online hospitality management bachelor’s program on our list is offered by Florida International University. Florida International University’s Chaplin School of Hospitality and Tourism Management offers an online bachelor’s in hospitality management degree program designed to provide students with the education needed for career advancement in the hospitality industry. Classes are delivered entirely online with curriculum that is both flexible and current. Course materials can be accessed 24/7 through interactive technology. The program mirrors that of the on-campus program, with classes taught by the same university professors. Some of the courses offered include accounting for the hospitality industry, financial analysis in the hospitality industry, hospitality information technology, lodging operations control, and management accounting for the hospitality industry. The institution is accredited and ranked by U.S. News and World Report as a top national university and public school. Also, the online bachelor’s programs rank #54 out of more than 1,200 surveyed programs. 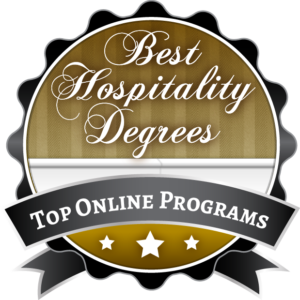 This concludes our list of the top 15 online hospitality management bachelor’s degree programs for 2018.